If you ever thought that the Sony Ericsson W1000 concept was surreal, check out the beauty below, brought to us by J. Havrlant. 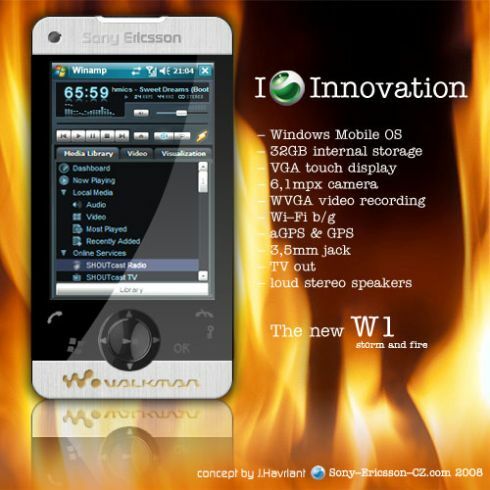 The W1 handset surprises us all with its specs, specially in the storage and camera department. It’s rare that we see a Sony Ericsson Walkman phone sporting a 6.1 megapixel camera plus 32GB of internal storage space. Not to mention that VGA touch display, GPS and WVGA video recording. XPERIA say what?